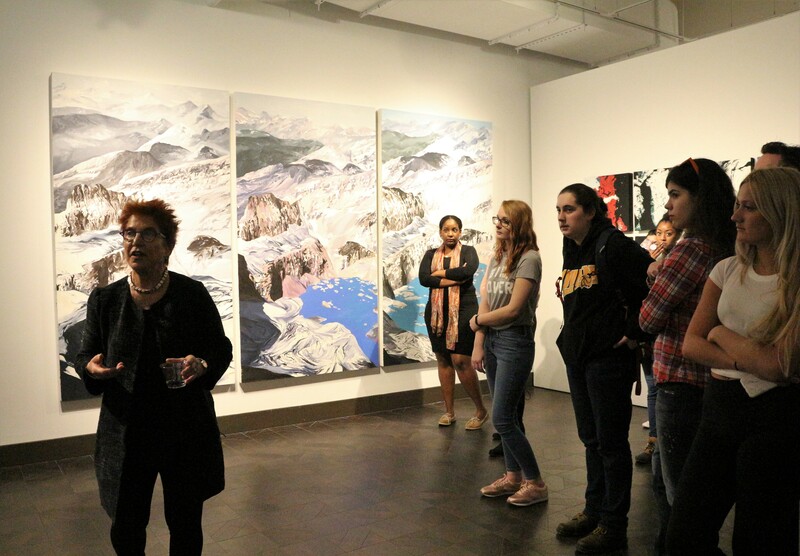 Environmental artist Diane Burko was surrounded by the Rowan community for her “Vast and Vanishing” opening reception on March 8 in the Art Gallery. Burko has been painting for almost 40 years but didn’t start her environmental route until 2006 during one of her art exhibits. She was staring at one of her snow paintings that was about 30-years-old and wondered if the snow she once painted was still there. 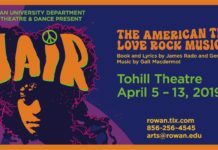 Some of the influences that further encouraged her art were Al Gore with his movie, “An Inconvenient Truth,” and Elizabeth Kolbert with her novel, “Field Notes from a Catastrophe,” both of which deal with climate change. “I had to figure out how I, as a painter, was going to talk about [climate change],” Burko said. 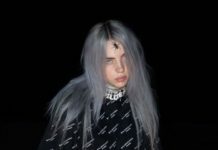 Curious, she began to research the topic and came across something called “repeat photography.” This is a series of images taken over time of the same subject. One of the pieces that uses repeat photography and is on display at the Art Gallery was “Grinnell Mt. 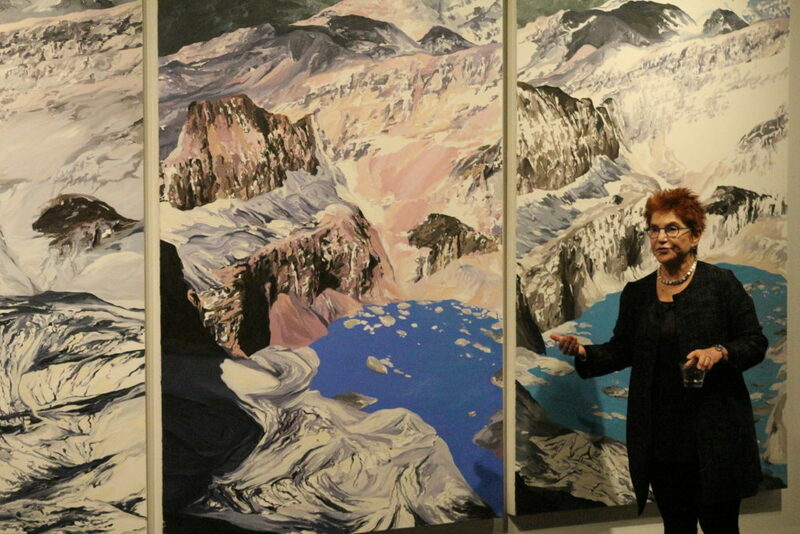 Gould #1, 2, 4.” The paintings were based on photos taken in 1938, 1981 and 2006 from a glacier at Glacier National Park. Some of Burko’s other work on display was “Jakobshavn-Ilulissat Quartet,” which is a painting about a glacier in Greenland from 2015. This glacier is the fastest moving one in the Northern hemisphere and was the same one that sunk the Titanic. For this painting, she wasn’t basing her work on other’s images, but was observing the subject firsthand. 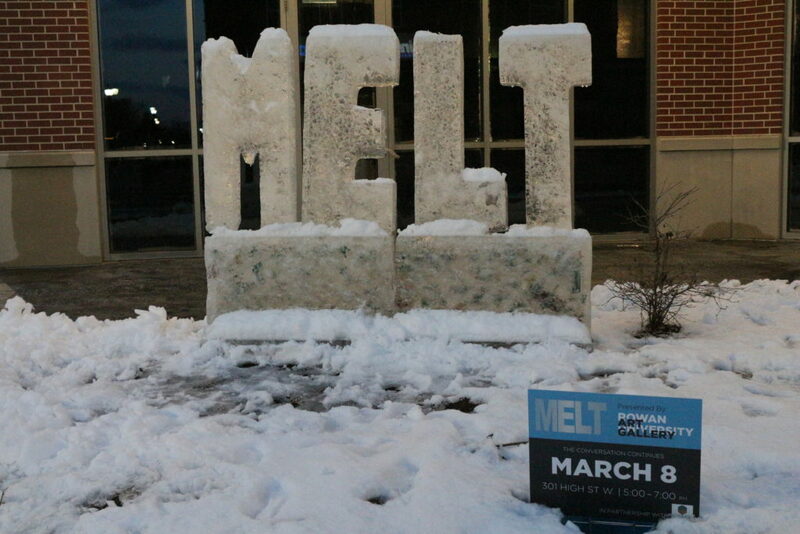 An ice sculpture on Rowan Boulevard that spelled out “Melt” was also on display to get people to keep the conversation going. The words were on top of a base that had military toys frozen inside. As the temperature would rise, the words would melt and display the toys. Sophomore mechanical engineering major Alexander Steel appreciated the exhibit. Burko’s next project will take her and her team across eight national parks in America to experience coral reefs. Their goal is to create a massive multimedia project to raise awareness about the subject matter.